If you’re in Tennessee and looking for a service or charity project to support with sewing, check out Sewn In Love. The volunteer organization Sewn In Love is dedicated to donating lovingly made quilts to cancer patients of all ages. You can help Sewn In Love by donating quilting materials or your sewing time to help complete quilts. Groups in the area regularly get together to stitch quilts for the organization, often at one of the local quilt shops in the area. To find a list of local shops that will accept donations for the volunteer project, visit the Volunteer page of the Sewn In Love website. If you’re not in Tennessee you can still help Sewn In Love with donations! 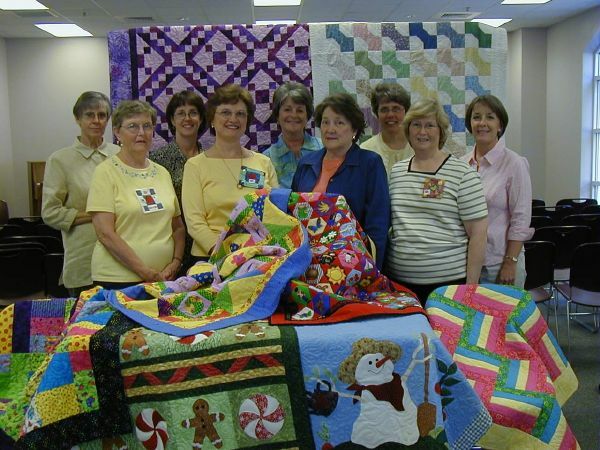 Or, get inspired by these volunteers to make quilts for cancer patients in your own community. Either way, it sure feels to sew to serve those in need.